 FAQs - Our Policies | Schinbein Drum Co. 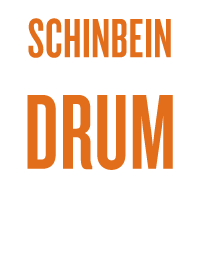 Here's where you will find all sorts of answers to common questions, including details about Schinbein Drum Company's easy-to-follow policies.  1 What is Schinbein Drum Co.’s return policy? 2 Do I have to pay a deposit? 3 What payment methods to you take? 4 What if I want to get in touch, request a piggyback ride, or complain? 5 Why don’t you have dealers listed on your website? 6 Do you offer endorsement deals? 7 What’s with all the orange? 8 Do you tune your drums before shipping? 9 I sent you an email but didn’t hear back. What gives? 10 Do you sell merch? 11 Must I really come all the way to Reservoir to get some work done!? Refunds and returns are dealt with on a case-by-case basis. With all that being said, we will usually inundate you with questions about your dream drum long before production begins. Generally speaking, all business concerns aside, we want you to have the best gear in the best shape possible. If you feel that what we made you isn’t up to scratch, send us an email and we will work with you to make suitable alterations, and ship it back. We will fix it, redo it, or refund your money. We only ask that you email us before you ship your drum back to us, and always insure your drum. We will pay for the shipping if there is an error in the drum. However, if your return is based on aesthetic differences, we will not be held accountable for postage fees incurred, and modifications fees will be charged to you. We will not be responsible for gear misplaced by the postal service. We always ship insured packages, and recommend you do the same. In all cases, we refer to the Australian Competition & Consumer Commission for what is considered to be fair practice here in Australia. We will charge you a 50% deposit when you place the order. The remainder (plus shipping) is due before we let the drum out of our shop. In the event that a deposit is not required, full payment will be made before you take your gear home, unless you’re a really trustworthy relative or something…. We prefer PayPal, although we are able to accept direct bank transfers and actual folding cash if you are here in Australia. We have found PayPal to be the best payment method in regards to protecting both your and our sensitive information. Regardless of how you pay us, you will be supplied with an invoice for your personal and income tax records. However, if it is more convenient on your end, we are now able to process credit card payments through some nifty magic courtesy of our whiz-bang team of ones and zeros that do the books. We won’t even do that dodgy 2% surcharge crap that some people do. Seriously, we can take a 2% hit to ensure things are convenient for you…. We will respond to all inquiries within 48 hours, if not sooner. Usually we will reply via email, but it may change depending on how you contact us. For instance, if you contact us through Facebook Chat, we will reply in kind. All suggestions will be taken under consideration, but not necessarily incorporated.  We love hearing from you, good or bad. We prefer funny and whimsical emails over mean and nasty ones, but we’ll take what we can get, so be honest. Finally: please know that anything you tell us is used in-house only, and we don’t share any of this information with anyone. *Not that we’d hear you, but maybe it would help you blow off some steam. We prefer to deal directly with our customers. The personal touch is the whole reason we decided to go into business for ourselves in the first place. We only do custom one-of-a-kind drums. No two of our pieces are ever the same. We currently don’t accept applications for endorsements, and requests will be politely denied. We do, however, from time to time offer deals to drummers that we feel embody what we are looking for in an endorser. Endorsement deals should be very personal relationships between a drummer and the team that makes their gear. In looking at this site and the things we make, you may notice a LOT of the colour orange. Our custom snare drums all have an orange vent hole. Our hand-built cajones are orange as well. Plus, a fair amount this website is orange too. Who knows, we just like it. It’s a happy colour. It feels optimistic for some reason in spite of the image it conjures up of ladies in prison jumpsuits. Orange really is the new black. Feel free to tell us when this last comment becomes dated and/or is no longer topical enough to be relevant and we will come up with something else equally tacky and crass with which to replace it. Yes – sort of – but we try not to influence your perception of what your dream drum should sound like. We tune drums up to a medium tension and give them a bit of a whack or two to make sure everything is in good working order. Next, we de-tune the drum to the point where the tension rods aren’t going to fall out. We do this because we’d rather help you discover your own sound, rather than dictate to you what your sound should be. If, however, you need a bit of help getting a particular sound, please let us know and we may be able to point you in the right direction. Experiment and you will innovate. Fail and you will learn. Just kidding. Chances are we are probably either experiencing some technical difficulties (arising from being drum people and not IT people), or we are out on tour. We may even be on the other side of the planet visiting family. We do apologize if this happens, and we do what we can to ensure proper communication at all times. That said, we’re a small team, and being human, things happen. You ARE important to us, and not just in that “your call is important to us, please continue to hold” way: we consider our clients/customers to be family.  If you haven’t heard from us in a couple days, try getting in touch with us via Twitter, Facebook, or even through YouTube comments. We might have a tech problem we don’t even know about yet, and you could be helping us out! Yes, but our stock is limited and rotates fairly regularly. As it turns out, not necessarily. If you’re on the wrong side of the river (not judging… much) let us know what you need done and arrangements can be made for you to drop your gear off at Revolver Drums in Prahran. Conrad’s a pretty good guy; handy too. You leave your stuff with him, maybe grab a pair of sticks or what have you, I’ll swing on by, pick up your stuff, do the work, and return it back to Revolver ready for you to pick it up whenever is convenient for you. It’s a win/win/win situation really. Look at all of us having a symbiotic relationship; how fancy. I’ll even go one further and commit to being in the purpose built workshop in the back of Revolver on Wednesdays doing work onsite, in real time. Out of town or interstate? Even easier, you don’t need to go any further than your nearest post office. Heck, you could even have a private courier pick it up from your front door and bring it to us. Easy-peasy, Lemon-squeezy.